Tottenham manager Mauricio Pochettino is on the receiving end of a fair amount of abuse on Twitter tonight after starting Hugo Lloris as his captain against Manchester United. Many fans are not at all impressed that the Spurs goalkeeper has retained his place and the armband after being charged for drink driving, as mentioned below in a tweet from Evening Standard reporter Dan Kilpatrick. The French shot-stopper is undoubtedly one of the finest in the Premier League in his position, having been a key player for Tottenham for many years now. However, what kind of message does it send out that one can behave so recklessly, putting one’s own life and the lives of others in so much danger, and yet continue to lead one of the biggest clubs in the country? Disgraceful to see loris is still captain, what sort of role model is he to young children, whom may now also drink drive. 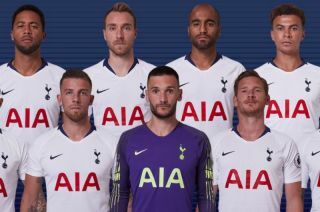 Lloris remaining as captain is a disgrace. Lloris keeps the captaincy days after being charged with drunk driving at 2am. Rose largely sidelined for a year for giving an actually quite tepid interview. Not a good look, in my opinion.